Union Bank of Indian has released notification for Credit Officer, Fire Officer, and Other Vacancies at the official website. 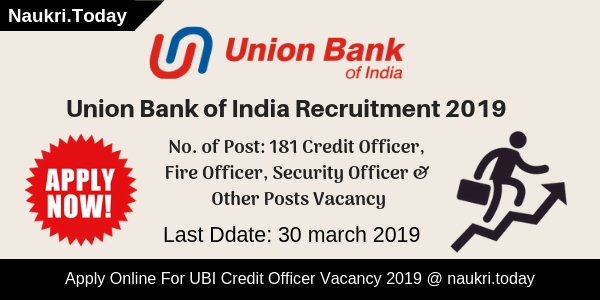 There are 181 Vacancies are provided for Union Bank of India Recruitment 2019. Interested applicants may fill up their application form up the last date 30 March 2019. The online registration process is going to begin from 12 March 2019. Minimum Qualification required for UBI Jobs 2019 is Graduation. Participants have to submit Rs. 600/- as an application fee. Reserved category candidates will pay Rs. 100/- for registration fee. What Are The Important Date To Remember For UBI Vacancy 2019? What Is The Upper Age Relaxation For Union Bank of India Bharti 2019? How To Check Application Fees, Pay Scale & Method of Selection for Union Bank SO Recruitment ? How To Fill Online Form for Union Bank of India Recruitment 2017 – 18 For Forex officer & Treasury officer Jobs ? B.E. (Fire Engineering)/ Divisional Officer Course from National fire Service College, Nagur. Post Graduation in Economic with good communication skills and writing abilities. Minimum Experience also required as per posts. How Much Time Should Be Set As Probation Period For Union Bank of India Recruitment 2019? The Department has set 2 years as probation period for UBI Bharti 2019. So Selected aspirants must be on probation for a period of 2 years of active service from the joining date. For furthermore details applicants may download Official Union Bank of India Notification 2019. What Are The Documents Required To Apply for Union Bank of India Vacancy 2019? Candidates must fill up their online application form carefully. Participants those who do not register before must fill up registration details first. After complete an application form aspirants may insert passport size photo, signature, & Qualification Details in correct manner. The Department should mention that only application form are accepted in which Name of the Candidate, Category, Date of Birth, Address, Mobile Number, Email ID, Test Centre, District in which applied for, Qualifications, etc has mention properly. Conclusion: Union Bank of India has released notification of 181 Credit Officer, Fire Officer, & Other Vacancies. Eligible and interested applicants may fill up their application form for Union Bank of India Recruitment 2019 from here. 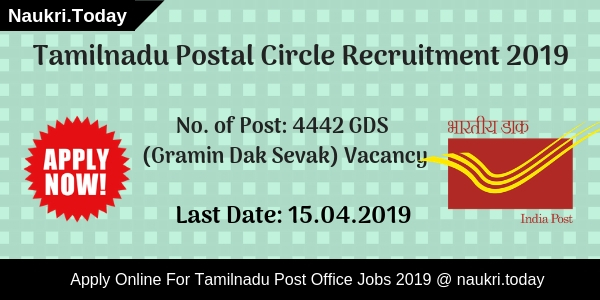 Union Bank of India Recruitment 2019 is available for 100 Armed Guard Vacancies. Interested applicants should check here qualification, age, and application fee. Eligible aspirants may apply online for UBI Vacancy 2019 before 18 .02.2019. Online Registration Process is going to begun form 23.01.2019. The Department will organize written examination for appointing candidates on Armed Guard Posts. Participants who have 10th Pass Certificate may fill up their application form through online mode. For furthermore details candidates should read below article carefully. Candidates should collect here information regarding qualification, age, and application fee for Union Bank of India Vacancy 2019. Eligible aspirants should fill up their application form for UBI Jobs 2019 form here. Registration Process for UBI Armed Force Recruitment 2019 will be closed on 18.02.2019. Participants may download Union Bank of India notification 2019 form links given here. Pay Band Selected aspirants will get Rs 9560/- to Rs 18545/. The Department has provided upper age relaxation as per government rule for UBI Recruitment 2019. 3 years of age relaxation is allotted to OBC Category Candidates. And 5 years of age concession is given to the SC/ST Category aspirants. Participants must check official Union Bank of India Notification for Further more details. Contender should log on to the official Website of Union Bank of India i.e indianbankofindia.co.in. After that search for Union Bank of India Recruitment section at Homepage. Now open Armed Guard Advt. PDF and read it carefully. Eligible candidates may fill up their online application form from here. After filling up an application form candidates should pay their examination fee. Conclusion: Union Bank of India has issued notification for filling up 100 Armed Guard Vacancies. Candidates may collect eligibility criteria details for Union Bank of India Recruitment 2019 from here. candidates should check further more information from the above article. Dear Applicants, Union Bank of India has issued recruitment notification of Specialist Officer Vacancies. There are 100 SO Vacancies of Forex Officer & Integrated Treasury Officer. Those candidates who are interested in Union Bank of India Recruitment 2017 – 18 can fill online form here before the last date. Closing date for filling Union Bank of India Jobs Online form is 13th January 2018. For more details about UBI Forex Officer & Other vacancies details read the below article. UBI Bank is inviting online form for filling up 100 Specialist Officer Vacancies. Online submission of application form for Union Bank of India SO Vacancies has been started from 20.12.2017. This is great job opportunity for all the candidates who are searching Bank Jobs. Appliers must check required eligibility criteria before filling UBI SO Online form. Rest of the information about Eligibility Criteria, Pay scale & Other is mention in below sections. Applicants who are looking for Eligibility criteria of Union Bank of India So vacancies must read the below section. Here we are providing Education & age Criteria For UBI recruitment 2017. Applicants can Post wise required work experience & these details from official Union Bank Jobs Notification. Candidates must have done Graduation/ Post Graduation Degree in respective trade from any recognized university for Union Bank of India Jobs. Other details about Qualification you can check from official UBI Specialist officer Jobs Notification. Post wise age criteria for UBI Recruitment is shown below. relaxation in age for Union Bank SO Vacancies is applicable on the basis of Department rules & regulation up to 05 years for SC/ST category & 03 years for OBC, 10 years for PWD candidates. Forex Officer : Age of the candidates must be in between 23 years to 32 years for UBI Forex Officer Jobs. Integrated Treasury Officer : Candidates age must be under 23 to 35 years. Appliers of General & OBC Category must paid Rs. 600/- as application fees for UBI Vacancies Online form. Other category candidates of SC/ST/ PWD need to pay Rs. 100/- for filling online form for Union Bank of India Vacancies. 1310/10 – 45950/- for UBI SO Vacancies. 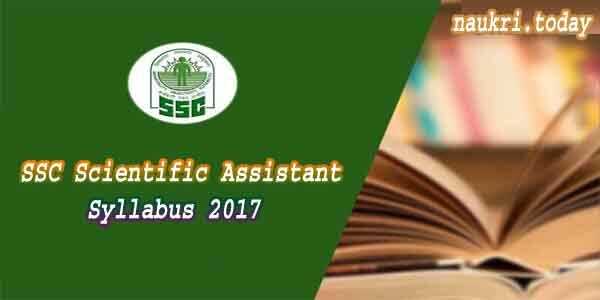 candidates for UBI SO Recruitment 2017 will selected on the basis of Written Exam, Personal Interview & GD Round. Final Merit List will prepare on the basis of Marks obtain in all examination. Pattern of exam for Union bank of India Recruitment is mention below. written Exam is objective type in nature. which contain 200 question of 200 marks. There will be negative marking in exam. Written exam will conducted in Bengaluru, Delhi, Kolkata, Lucknow & Mumbai City. For more derails about Exam pattern is mention below.Candidates keep stay with this page for more update related to UBI Recruitment 2017. Candidates who are eligible & interested in union Bank of India Vacancy can fill online form here by using the below steps. These steps is helpful for filling online form for UBI Vacancies. First of all candidates log on to the official website www.unionbankofindia.co.in. Now Go to Career Section & Click on Union Bank of India SO Vacancy Notification. Then click on Applying Online form link. Deposit application fee & check all details filled in UBI Online form. Conclusion : – Union Bank of India Recruitment 2017 – 18 For 100 Forex Officer & Treasury Officer Jobs. Candidates can fill online form for UBI Vacancies on or before the last date 13.01.2018. More information you can collect from above article & from official notification.